Every week, PREVIEWSworld announces which comics, graphic novels, toys and other pop-culture merchandise will arrive at your local comic shop. The products will be on sale in comic shops on the indicated date. This list is tentative and subject to change. Please check with your retailer for availability. 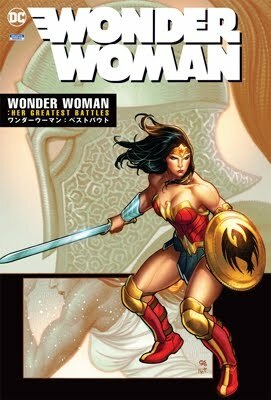 Go to comicshoplocator.com to find a store near you! Witness the Incredible Hulk's terrifying future! Could our hero truly be destined to rule a ravaged world with a gamma fist as the despotic Maestro?! Or can a time-torn Bruce Banner change his own nightmarish fate? One of the greatest Hulk tales ever told fully earns its Epic status! Plus: more adventures with Bruce, Rick Jones and the Pantheon! A monster at Loch Ness - but not the one Hulk went looking for! A showdown with Nick Fury! A royal rumble with Madman! Hulk and She-Hulk double-team the Bi-Beast! Silver Surfer and the Starjammers join the intergalactic Troyjan War! And Rick is getting married...if he can survive his bachelor party! Collecting INCREDIBLE HULK (1968) #407-419 and ANNUAL #20, HULK: FUTURE IMPERFECT #1-2, INCREDIBLE HULK ASHCAN EDITION, and material from MARVEL HOLIDAY SPECIAL #3.